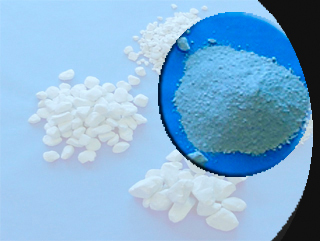 Reacting quicklime with water in a hydrator produces calcium hydroxide, commonly referred to as hydrated lime. Hydrated lime is used in a variety of industrial applications, including municipal sanitation and water treatment. It is also utilized in highway construction to stabilize expansive clay soils and in asphalt paving as an anti-stripping agent, and hydrate is used in oilfield applications. US Lime is one of the few producers to have the ability to produce a high surface area hydrate product that is an excellent choice for SO3 mitigation in the flue gas desulfurization process. Hydrated lime is also known as slaked lime.